I’m so incredibly excited for my Disneyland Paris trip this weekend. I’m a big kid and can’t wait to ride rollercoasters, eat at Remy’s restaurant and top it all off with a firework, light and music extravaganza at the end of the night. I’ve not been on a holiday with my family since the age of 15 and I’m looking forward to visiting Paris with my mum, brother and brother’s boyfriend (Coco and Martyn are staying at home). I started to think I was too cool to go on holiday as a family and opted to forfeit holidays to stay at home, listen to music loudly and have a house party with all of my friends. 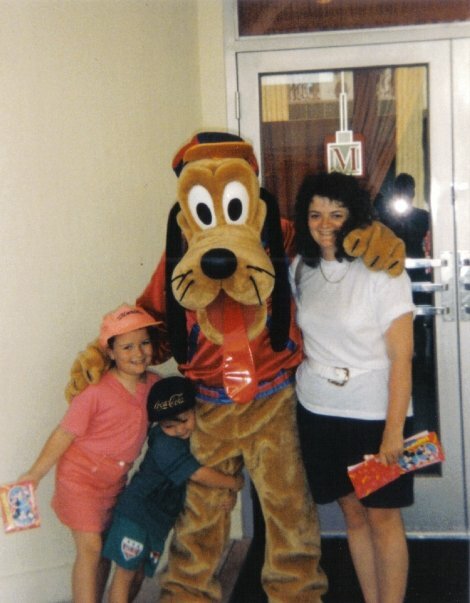 I have really missed going away as a family and have such fond memories of our trips to Disney in Florida in the 90s. It will be lovely to share this Disney experience with my family again and make new memories. I have gone slightly overboard with Disney themed accessories for my trip but my brother and I are huge Disney fans and if you can’t be a Disney super fan when you’re in Disney then when can you? 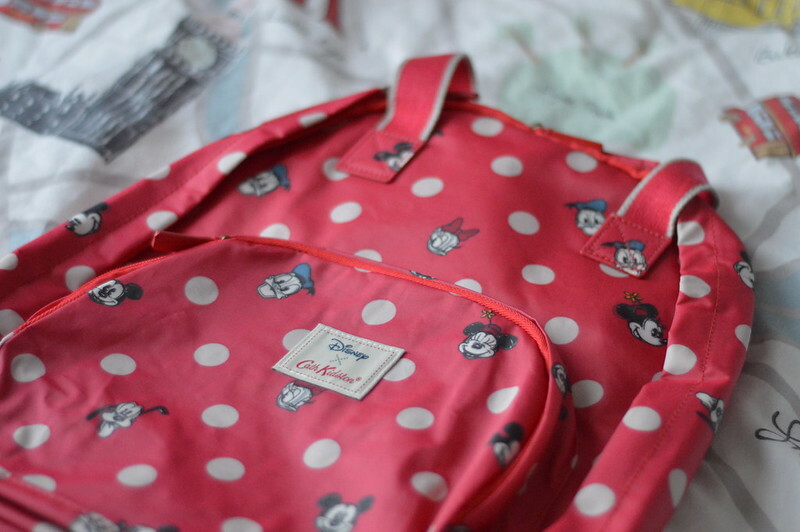 I picked up a backpack for my trip from the Cath Kidston Disney collection in the sale. It's got plenty of space for my camera and flask to take into the park and has a splashproof/waterproof coating which will keep my things dry when it inevitably rains whilst I'm on a outdoor ride. I've not been to Paris since 2013 (blog post here) and my mum has never been at all so we will be spending some time in the city and not just on site and in our Disney hotel. I'm planning a whistle stop tour of all the top sights for my mum and have some museums lined up if the weather isn't the best on the day we visit. I don't like to rely on Google Maps so I always pack a guide with a fold out map tucked away in the back. 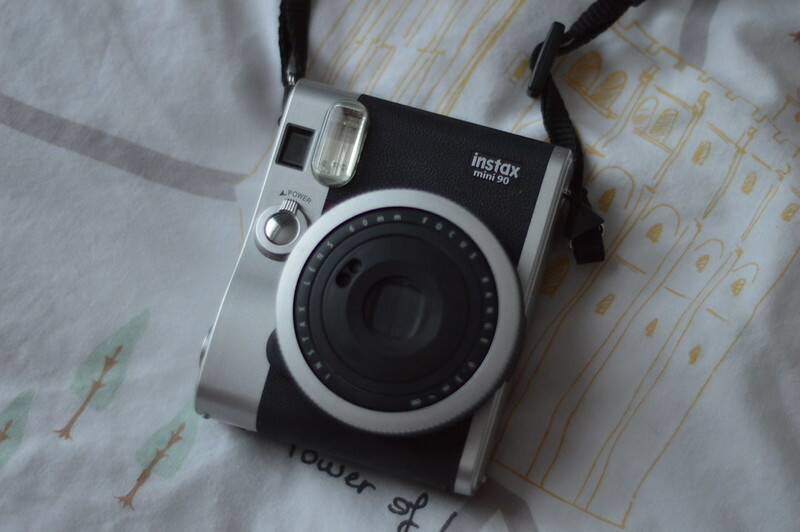 I'll be taking my instax camera along with my digital camera because the little instant photos are great for scrapbooking and my mum who isn't a social media fan can look back at the photos and take some home with her. My cute Disney camera enamel pin is from Grape Soda Club. 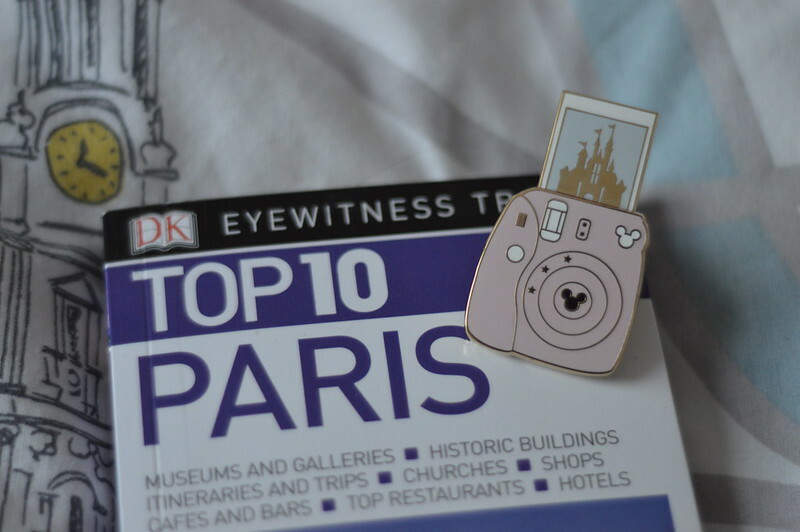 I didn't really need this pin as I have a huge collection but it was too cute to resist and the photo slides up and down. 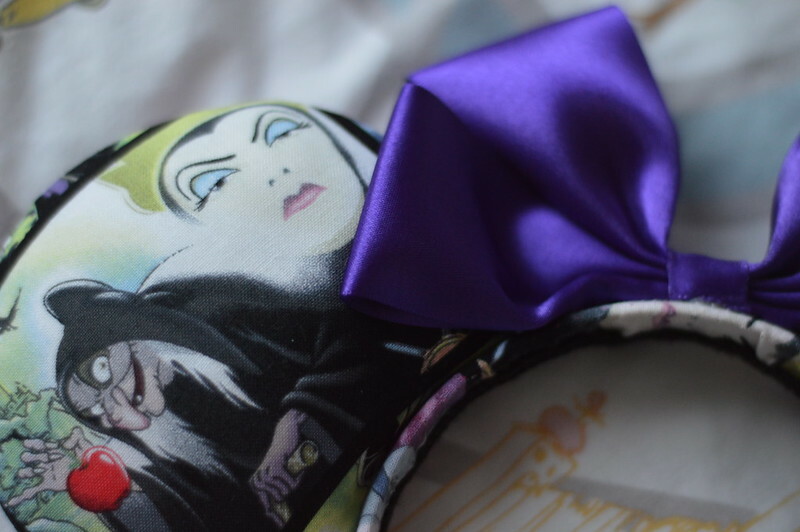 I don't really have a Disney princess outlook on life, I'm more of a angry villain so I'll be channelling the Evil Queen from Snow White with my accessories on my trip. Etsy have a great selection of handmade Minnie ears available and they are far more interesting (and some are cheaper) than the ones you can purchase in the park. Disney resorts can be pretty expensive places so I've packed a few things which I hope will save me money on my trip. Food is going to be a big expense and we have booked into some great restaurants whilst we are there but but I've packed some tracker bars and nuts to snack on and I'm taking a refillable water bottle as you can fill these up at water fountains across the park. Water is 3/4 euros for a bottle in the park so I'll make a big saving each time I refill. I'm also taking some plastic ponchos to stay dry if it rains during the fireworks or parade, you can get these in Poundland and I'm pretty sure these would be 8 euros if not more in the park. 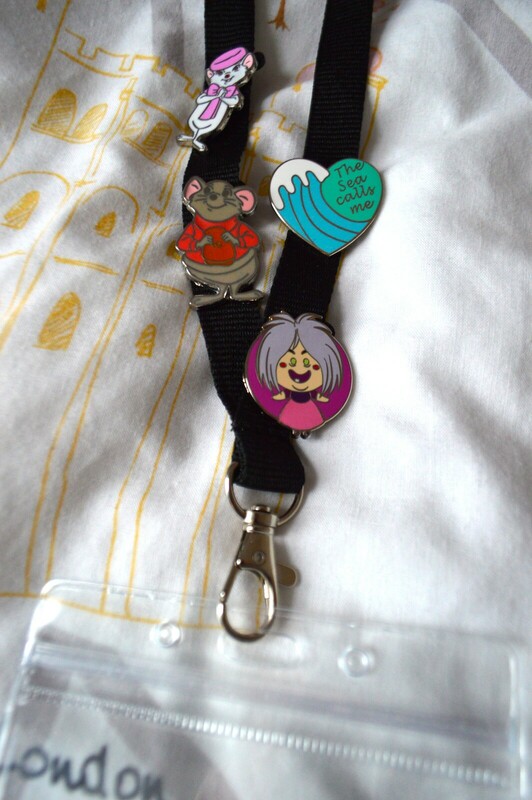 I've recycled an old work lanyard to keep my park tickets and fast pass tickets safe and dry whilst I'm in the park. It's a rather boring one but this gives me a chance to wear some of my pin collection which I mainly purchase on eBay. Lots of Disney fans collect pins and pin trading is a popular past time in the park. The weather is due to be a bit grey and cold this weekend so I'll be wrapping up and packing lots of layers. The jumper below is from the Dinsey store Minnie Rocks the Dots range and will be lovely and cosy on chilly evenings in the park. We are staying in the rather lovely Newport Bay Club Hotel which has a 1920's New England feel with nautical touches. The hotel has a pool so I'll be packing some swimsuits including my polka dot one which has a Minnie Mouse feel. The pool will be a great way to unwind in the evening after a long day in the park. I'll also be packing my comfy, battered old Converse because you can walk around 30k steps each day in the park and a waterproof coat. I just need to get my boarding pass and passport ready and I'll be all set to go, 4 days until I go on holiday!! If you have any recommendations or tips for visiting Disneyland Paris please leave a comment below. What fab Disney items. The Cath Kidston range is so lovely - and I adore the pin with the photo that slides up and down. Have a good time! Oh I love you you are properly dressing the part! I've never been to Disney, I'd like to take the kids one day though so I'll have to remember your tips about all the bits to buy in advance. Oh these items are amazing! 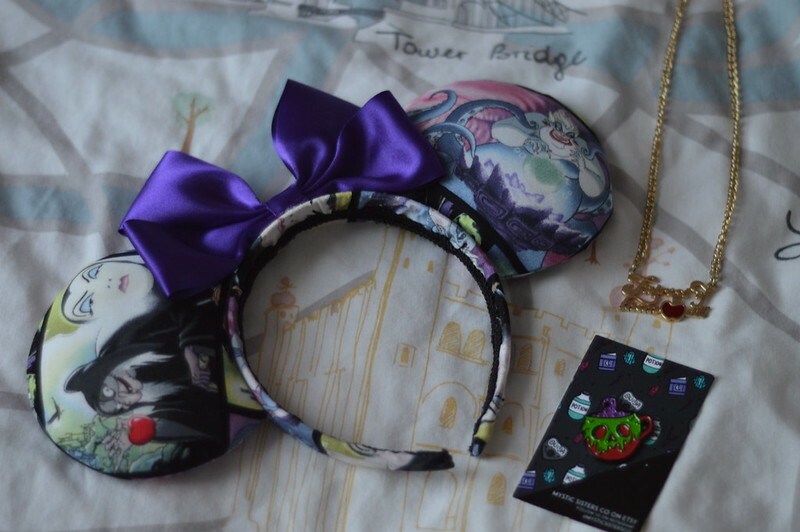 I wish I had more Disney clothing & accessories! 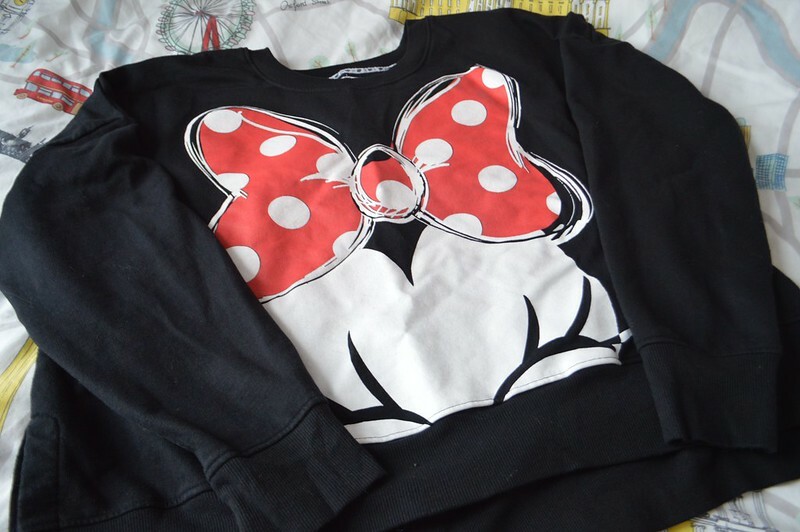 I have a Mickey Jumper and Disney Princess PJ's thats all. I freaking love your pin & mouse ears!